In this day and age of social media, home parties often seem to be placed on the back burner. 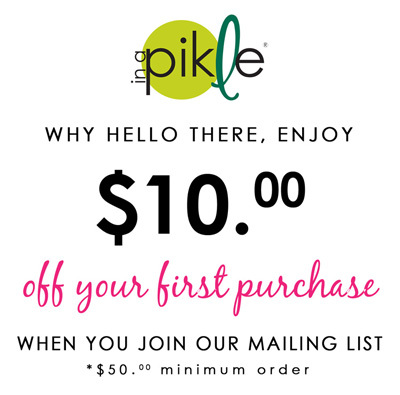 In A Pikle is a Home Party based business. If you want to be successful you need to get back to the basics and schedule more home parties. Often times people sign up for a direct sales company thinking it can all be done on line. Can you sell online…Yes! But you will be missing out on a huge customer base, potential hostess and potential team member base if you limit in-home parties. In direct sales, online sales only account for 11% of sales; where face-to-face and personal transactions make up 77% of sales. In fact did you know that the average In A Pikle Facebook party is just under $200 but our in-home party average is almost $700! That is a significant increase and well worth the time and effort of meeting with your customers face to face at party. The In A Pikle bag is a product that needs to be demonstrated. You need to get it in the hands of the customers so they can see it, feel it, hold it and try it. You know how great our product is and why you love it, but your customers need to have the chance to create their personal reasons and there is no better way than by enjoying it at a home party. Think about this for a moment…you don’t want to buy a candle if you can’t smell the scent. Or purchase make-up with seeing the color. Your customers are much more likely to make a purchase when they are certain they will love it and when they see the In A Pikle bag not only will they like it, they will love it and soon realize they can’t live without it! Remember…people are not only more likely to buy the product you are selling if they touch it; they will actually spend more money on their purchase. So what are you waiting for…it’s time to party! One last reminder about home parties…ALWAYS make it a goal of booking (2) additional parties at each event. Share your goal with your hostess and ask for her help. Remember to share our great hostess benefits during your presentation and ask every single guest if they would like to book a party with you. Follow these simple steps and watch your bookings soar!